One of my favorites is the Panegyri Greek Festival in Cincinnati, hosted by Holy Trinity St. Nicholas Greek Orthodox Church. The first time I experienced Panegyri was in 2008 just after I returned from a trip to the Greek Islands, when I was eager to relive the culture and culinary delights that had so invigorated my senses. 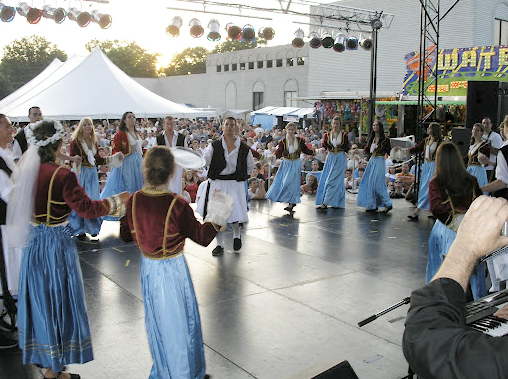 Greek pride, Greek food, Greek wine, Greek dancing, Greek hospitality. Honestly, what could be more fun? My sister Jenny and I, along with my husband and friends, have made it an annual tradition to visit the Panegyri festival, which always takes place during the last full weekend of June. Located on the western side of Cincinnati in Finneytown, St. Nicholas Church welcomes every walk of life to their indoor/outdoor celebration that is sure to entertain people of all ages. The food, oh the food. I make it a point to try and visit every booth to sample the cuisine, so of course I enlist the help of my friends for some serious sharing so we can taste without getting too full. Some favorites are the Lamb Gyros (with extra tzatziki sauce! 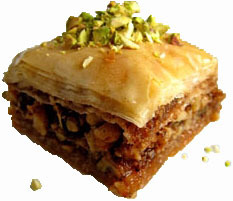 ), the Souvlaki (pork tenderloin skewers), Pastichio (layered pasta with ground beef and bechamel), Greek Pizza, Spanokopita and the delicious honey covered Baklava. Of course, these are only some of the offerings from both inside and outside, so any visitor is sure to find their own favorite food. There is also a great tent with Greek wine varietals available by the bottle for you to share with friends. Not in the mood for wine? Delicious Greek beers like Mythos are available too. 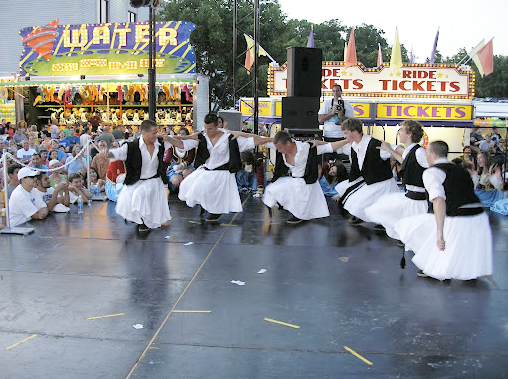 Kids will love the carnival rides, and everyone gets excited by the Greek bouzouki music along with traditional Greek dancers. 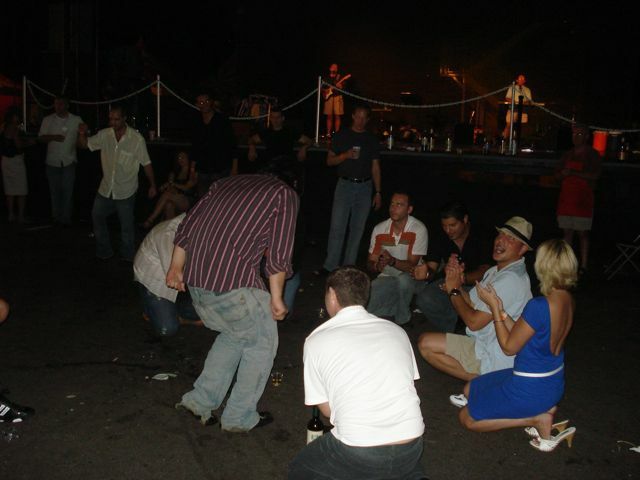 What's even better is that visitors are encouraged to join in the fun -- group dances, similar to line dances are formed in circles, sometimes several rings deep. No need to know the steps, grab someone's hand and try it yourself. Having fun is the most important part. If you're anything like me, by the time you catch the steps, the song changes! Even if you never catch on to the moves, you will be practically lifted off your feet by the momentum of the crowd. Opa! Admission is $2, and children 12 and under are free. Viewed 5492 times so far.